Have you ever binge-watched a TV show? You know, when you sit down in front of your TV or device of preference and watch not just one episode, but two, three, four or however many episodes there are available to you in a row? It’s an increasingly popular activity, and one that’s made releases for shows like House of Cards or Orange is the New Black into events, and related colloquialisms into pick-up lines. In fact, according to a study put together by Harris Interactive for streaming giant Netflix, 61 percent of streamers binge-watch regularly. And that number is growing. But why has bingeing become so prevalent? Well, the study found a few reasons for that. 76 percent of respondents shared that bingeing is an escape in their increasingly busy lives, away from the hashtags, selfies and other modern forms of hustle and bustle that govern today’s people. Perhaps even more important to the binge-watching experience is that almost 8 out of 10 people surveyed said that they prefer the marathon experience to the relative grind of weekly viewing. It adds to their enjoyment. You may be reading this and wondering what exactly this has to do with comics. That’s fair. Here’s where it ties in. In previous articles, SKTCHD has explored connections between television viewing and comics reading habits. It’s with good reason. Television is the most comparable form of entertainment to comics. They’re both episodic, quicker to digest than their more girthy cousins (movies and books, respectively), and because of their formats, they can be easily digested in different ways depending on when you choose to engage with them. For TV, that used to mean buying a season on DVD or Blu-ray and watching after the season wrapped. Then it moved on to burning through bundles of episodes on your DVR or binge-watching the entire season of a show on Netflix. The experience has changed, but the idea has stayed the same. It’s the same thing for comics. Trade waiting (waiting to buy a comic until an entire arc has been released in collected format) has long been a favorite option of readers, and one that triggers mixed emotions in creators. 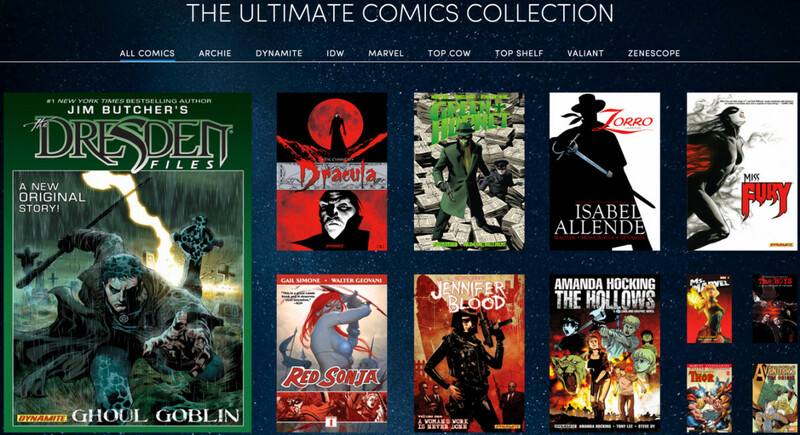 But comics have expanded with their own Netflix-like options, led by subscription-based services like Scribd, ComicsFix or Marvel’s own Marvel Unlimited product. The biggest difference between TV and comics right now is where they are in their product life cycles. While television content creators have begun to take advantage of their binge-watching audience, comics aren’t quite there yet. You can find television shows from all of the major networks on various streaming services, even original content developed specifically for streaming, but in comics some major publishers – like DC Comics – are still nowhere to be found on the major subscription services. That’s understandable, to a degree. The format isn’t yet fully developed for comics. But personally speaking, I can say that binge-reading comics is something I’ve already embraced, and I’m not the only one. 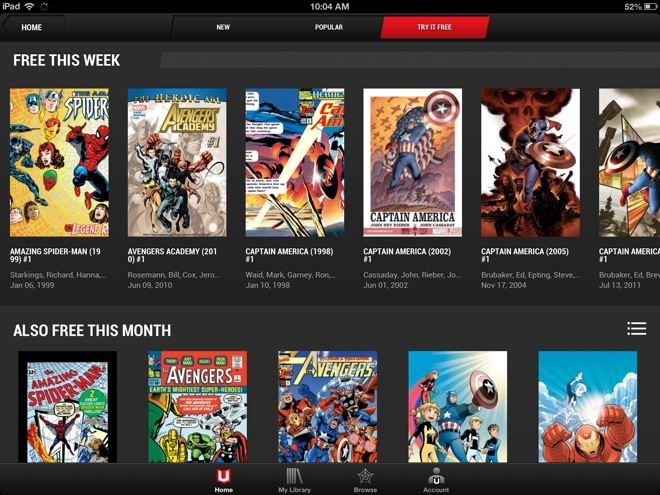 The product that has most changed my reading experience has been Marvel Unlimited. Regardless of how highbrow I may try to position myself, Marvel was my gateway into comics and they are still the publisher I read the second most comics of. Once upon a time, they were the publisher that led my considerable pull list, but Unlimited changed that. While I’ve long had an itchy trigger finger when it comes to dropping comics – comics can be expensive and there’s a lot more going on in life than just sequential art – Unlimited and its routine of releasing new comics six months after initial release has completely changed my approach with Marvel. My friends in retail will hate me for saying this, but if it’s a bigger Marvel title that I’m riding the fence on – say, Rick Remender and John Romita, Jr.’s high-profile Captain America relaunch from a couple years back – I’ll wait to read the first arc on Marvel Unlimited before diving into singles if I really like it. While I still back the smaller books in print, like Ms. Marvel or the Unbeatable Squirrel Girl, Marvel Unlimited’s ease of use and low time/monetary cost has dramatically reduced the high-profile releases I’m pulling. You may wonder why I’m going the Unlimited route instead of buying trades, but that’s easy to explain as well. Recently I wrote about the major publishers’ trade release strategies and how long it takes each of them to release their collections. For Marvel, the average span of time before release of a trade paperback collecting a six issue arc is about ten months. That’s six months for the issues to be released and then a four month gap before trade release. Typically, those trades would be in the $16.99 to $19.99 range. If you wait just two months, you can read the same comics and thousands of others on Marvel Unlimited for $9.99 a month. Economically speaking, it’s a no-brainer for readers if you aren’t a die-hard Marvel Zombie. I’m not the only person who figured this out, assuredly. So why does Marvel do that? Why would they keep that subscription-based digital service running if it’s potentially reducing the revenue they earn on collections? It’s because of something TV figured out some time ago. Chris Rethore of MarketCast put together a study on the behavior of those who binge-watch television, and the results show that bingeing can end up being a net positive to the longterm performance of a television show. Bingeing can lead to viewers becoming weekly viewers, Rethore found. As many television viewers can attest to, that’s a very real thing. But as a comic reader, it’s something I’ve experienced as well. Here are two examples, both related to Marvel Unlimited. While I started reading both in singles to start with, I dropped Mark Waid, Paolo Rivera, Chris Samnee, et. al.’s Daredevil and Jonathan Hickman, Jerome Opena, Dustin Weaver, Steve Epting, etc.’s Avengers and New Avengers early on. Neither decision was related to the perceived quality of the books. They just felt like titles that would read better as completed runs when their respective teams finished, especially the Hickman books (his comics are normally like that, what with the labyrinthine plotting and all). For the Avengers books, I started reading them the week before Secret Wars #1 was released and had finished the lot in five days (like I said, binge-reading). Daredevil was much the same way, as the month after the second volume of that run wrapped, I tore through it within four or five days. Both were read on Unlimited, which meant something I hadn’t thought of was going to come into play: neither series would be complete on Marvel Unlimited by the time my marathon read came to a close. So when I exhausted all of the issues on Marvel Unlimited, I was a bleary eyed addict who had to get his fix. Within minutes, I had purchased the rest of both runs on ComiXology, which, given Marvel’s rate of release for both of those titles, was not an inconsiderable amount of comics. At least in this situation, Rethore’s study for television found a parallel in the comic binge-reading experience. Digesting comics in such a way can lead to the development of new regular readers rather than just binge-readers. It can be a very positive thing. It’s not just with digital subscription services either, as Saga’s trade sales have helped ramp up the monthly sales of the book as well. Amongst other readers, both my occasional podcast mate Brandon Burpee and Grantland’s Jason Concepcion have shared with me that Marvel Unlimited is a major part of their reading experience. I’ve tried to talk with Marvel about the impact of Unlimited in the past and it’s never produced results, but one has to imagine it’s more than a passing fad amongst three equally Marvel-addicted readers. There’s a potential downside with premium re-releases or new collections of older works though. Take the Deadpool by Joe Kelly Omnibus, for example. If you picked it up at your local comic book shop, it’d be $125. But as part of your $9.99 subscription to Marvel Unlimited, you receive access to that whole run as well, along with – again – thousands of other comics. For those who aren’t beholden to physical items, it’s an easy call to go the Unlimited route rather than picking up those high-priced collections. And the potential upside on the back-end – that readers will become regular readers for the title later on – isn’t there for books that wrapped long ago. Financially speaking, there are other potential pitfalls. As Jack Myers of MyersBizNet shared with iMediaConnection about television viewing habits, “audiences are learning to wait until new series become hits, and then they binge-watch them to catch up.” While there haven’t been any studies examining this in comics, just look at the cases of books like Omega Men or Nextwave for titles that struggle and die in single issues with legions of fans waiting for trade. While both survived until at least 12 issues, many fans wondered whether these were books that would have performed better if trades were a bigger part of the equation for publishers. The difficulty lies in the structure of the comic industry, really. As Kate Leth recently wrote, “sadly, everyone from creators to shops to publishers put so much emphasis on single issue sales, that occasionally a trade won’t even happen, or will be delayed by months or years. Because: if nobody is buying the single issues of a comic, or if the sales are low, companies will predict that the book won’t do well, and will put it as a low priority for publishing.” She’s not wrong, and it becomes a self-fulfilling prophecy where the comic audience behaves like the television viewing one – waiting for trade rather than buying single issues – and a book dies as a result. That’s no fault of the reader, or really anyone involved. As Leth said, the system is broken in many ways, and the flaws can create situations where comics never find their audience. In television, shows often have time to find their audience, and Myers added that binge viewing can positively impact the long-tail futures of television shows in the same way Rethore noted. Even beyond that, the mechanics of the way television works allows for low-rated shows like AMC’s Halt and Catch Fire to live on thanks to the wild success of comic-turned-TV-giant The Walking Dead. But DC’s not going to keep publishing Gotham by Midnight because Batman sells a lot. Historically speaking, they’re right to do that. If it was going to sell, it would have sold, and Batman can’t carry a lower tier book for DC. Such is the nature of comics. But, as Omega Men supporters would attest to, doesn’t the success of the rest of its line make it worthwhile to at least find out if a book can grow through trades? That disconnect between the way things were and the way things are is part of the reason the industry has struggled to respond to the changing mentality consumers have. It’s also why Omega Men’s trade sales will be an interesting case study now that it has been revived. Image is another publisher that hasn’t embraced the binge-reading phenomenon outside of collections, libraries and library extensions like hoopla. They’ve talked about it, as Image publisher Eric Stephenson shared in an interview I helped put together at Multiversity Comics. It’s problematic for another reason as well. For the creator-owned model to work, creators need trade sales. Trades are the OG of comic binge-reading formats, and these collections of arcs in one nice package are paramount to this economic model. 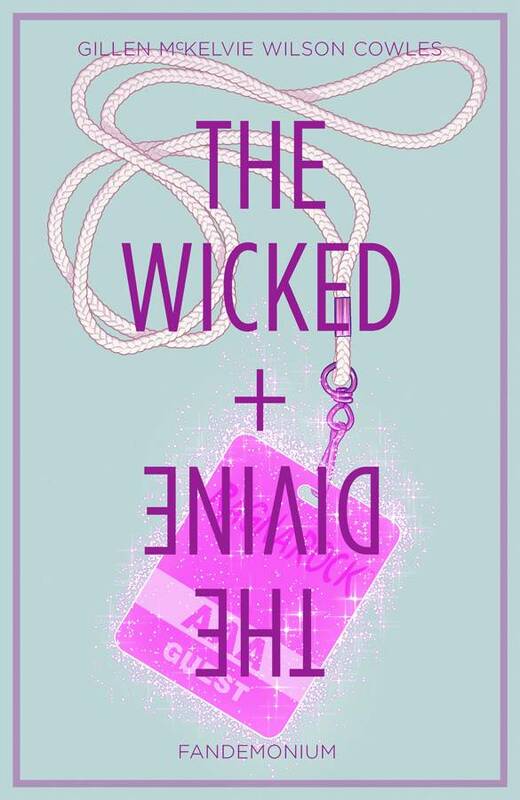 Kieron Gillen wrote about this at length in terms of his experience on The Wicked + The Divine, but the short answer to what they do for creators is this: single-issues are the foundation, but collection sales (along with foreign licensing, optioning your book for adaptation, and more) are the house that you build on that foundation. Or the producers of the money you use to literally build a house (of course, this depends on the success of the book you’re making). If Image created a Spotify/Netflix like option – let’s call it Image United, for fun – it could negatively impact trade sales. That’d be bad for creators, despite any potential upside it could have in creating new readers through binge-reading. As Stephenson said, “Marvel owns all their stuff. They can make whatever decision they want,” and that’s the biggest difference there. Creator-owned books can be like walking on a razor’s edge, and any alteration to the model that may hamper collection sales could be the difference between a book continuing and it being canceled. But binge-reading in comics is, again, more than just subscription-based services like Marvel Unlimited or Scribd. Trades, collections and graphic novels themselves have seen significant growth both in the direct and book markets, and one has to wonder whether or not that’s related to the conditioning consumers are going through in other mediums. Readers want to take in what feels like a complete story, and that’s an advantage trades will always have over single issues for the new or casual reader. Another factor that has driven the growth of that market is how much bingeing has been shown to enhance the experience of engaging with a story. As noted by Psychology Today, some of the benefits of binge-watching can include both how a continued narrative’s immersive and transportive qualities can increase enjoyment and how complex and nuanced storylines are often better understood and appreciated when context is maintained through a marathon experience. People connect with stories in a deeper and more robust way when delivered as a whole, which is part of why bingeing in any narrative form has become as popular as it has. When you look at the biggest sellers in comics – the real superstars – we aren’t talking individual issues. You’re talking about the work of Raina Telgemeier or Attack on Titan or Bone. The latter’s an interesting example, as it was a middling seller in comic form, but as a collection? It’s sold over six million copies. It took a more complete experience for it to connect with the masses. 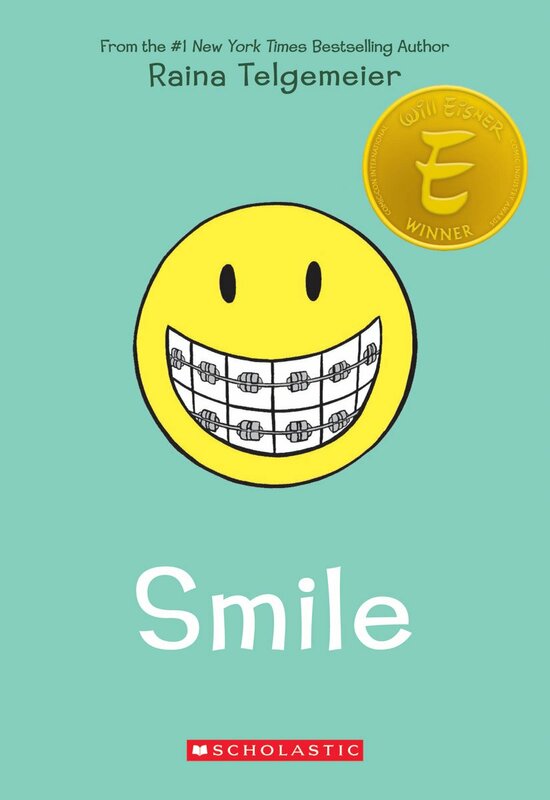 Now ask yourself this: would Raina Telgemeier’s work be as successful as it is if it was released as individual issues? Probably not, and it’d be no fault of the work at all. It’s the nature of the modern consumer, and a big part of why comics like Otis Frampton’s Oddly Normal have switched formats from monthly issues to graphic novels. Will the comic industry as a whole think progressively in how they approach the medium in this new world order? Will they try to find solutions to the changing mentality of readers before it becomes more fully realized? It’s uncertain, and something worth paying attention to going forward. But enough of all that. For the readers out there how have made it through this article, I’m curious: have you ever binge read comics? Do you trade wait? 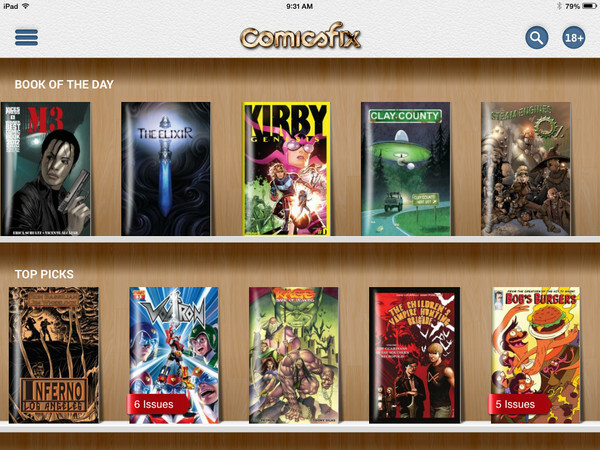 Are you a subscriber to any of the services comics offer? Share in the comments. I’d love to hear some feedback as to how you read comics.